Modern Berlin is synonymous with cutting edge art, music and culture. Not only now, but in the previous century Berlin was a magnet for all sorts of creative people. The liberal and ‘enlightened’ attitudes fostered in the 18th and 19th century created a fertile ground for writers, painters, musicians and scientists to influence each other and explore new avenues in their chosen fields. 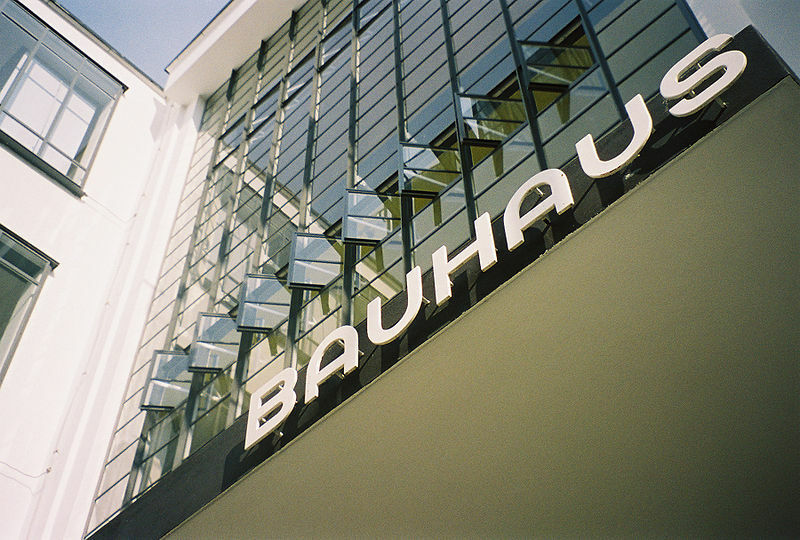 To name a few that made a name for themselves during the Golden Twenties are Bauhaus (architecture and design), Fritz Lang (Metropolis) and Marlene Dietrich (The Blue Angel) in the movies, Bertolt Brecht and Kurt Weill in literature and music, Carl Jung in psychology and Albert Einstein in physics. Despite the Nazis’ efforts to subdue and exterminate this culture, it survived and today Berlin is again one of Europe’s and the world’s leading creative capitals. In addition to the architecture around the city, it heaves with galleries, show rooms and private ateliers vying for an audience. To catch a small glimpse browse through EXBERLINER and try picking just one activity for the evening! And while you’re there, go to the food section and be overwhelmed and tempted by the range of cuisines available. Multiculturalism at its best! The city’s official web site, in English of course, is a good way of checking what’s happening in and around the city at the time of your travels and offers a neatly organized overview for attractions, museums, events and other little bits of info. Not to mention some photo galleries and live web cams to wet your visual taste buds before heading off on your Cosmopolitan North – Hamburg and Berlin Tour. For more fascinating facts see also Berlin – General, Part 1. Even though there seem to always have been some settlers in the area of modern Berlin, the first proper settlement mentioned seems to be Spandow, today’s Spandau, which was founded by the Slavic Hevelli tribe by the river Havel around 750 AD. It took another 5 centuries of war faring, tribal migrations, Christian conversions and cultivating the marshy lands before two more towns, Cölln and Berlin, were founded in 1244 on the banks of the river Spree, which joins the river Havel at Spandau. Over the next five decades the areas between these first settlements became more populated and grew to become one of the world’s hypercities, modern Berlin. While the time up to the 15th century was mainly spent in creating and maintaining an individual identity, based on strong trade relations with neighbouring cities, the following centuries focused on the religious, political and social changes happening to all layers of society. 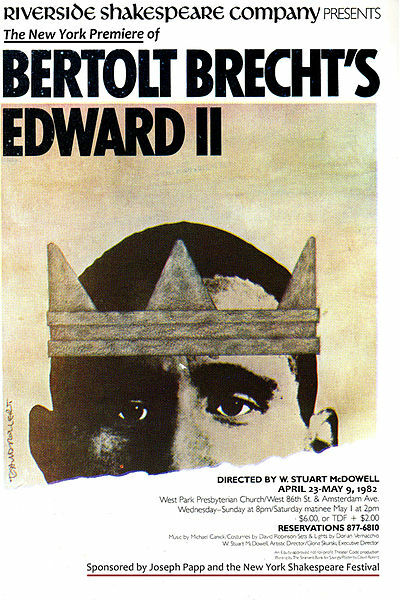 In 1640 Frederick William, The Great Elector, succeeded his father and initiated a policy of immigration and religious toleration, which meant that at the turn of the century 20% of Berlin’s inhabitants were French immigrants. Other immigrants came from Bohemia, Poland and Salzburg, adding to the rich cultural fabric of the city. Army reforms, castles and other grand structures getting built and the Berlin University being founded in 1810 created a city people flocked to, and by 1814 it was one of the four largest in Europe. During the German Empire Berlin became the capital and underwent socio-economic changes. By now Berlin was a major industrial city and needed improvements to infrastructure and residential areas. As inner city neighbourhoods were filled with tenement blocks, outer suburbs saw extensive industrial development. After the end of WWI King Wilhelm II abdicated and a major struggle for power in the city commenced between the Socialists and Communists. The economic situation in the following Weimarer Republic was dire and even though it improved shortly in the 20’s, turning Berlin into a major cultural center, the crash in 1929 finally paved the way for the right-wing Nazis to come to power. For more details on the complicated history during the Third Reich and WWII follow the links. Otherwise suffice it to say, that these changes again wrecked havoc on the city’s infrastructure, industry and culture. You can find out more interesting facts in Berlin – General, Part 2. Enjoy the special vibes of Germany’s fascinating capital first hand on the Cosmopolitan North – Hamburg and Berlin Tour. 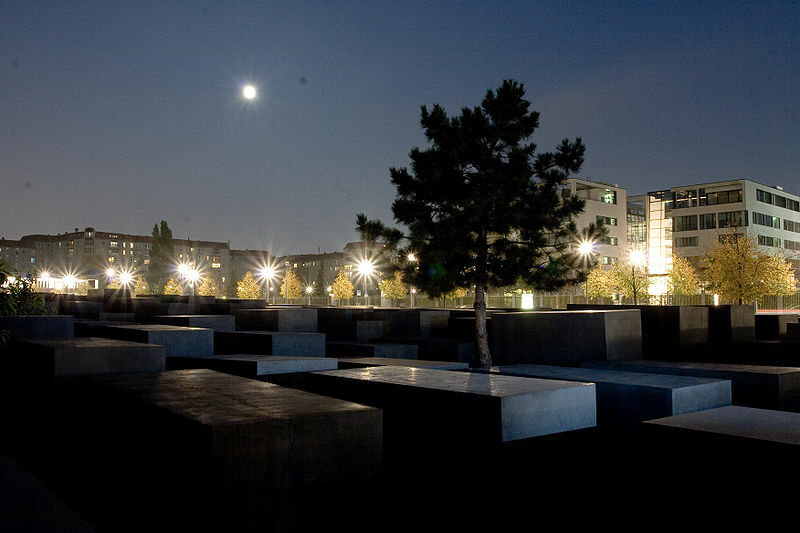 In 1984 German journalist Lea Rosh founded a group to support and collect donations for a Memorial to the Murdered Jews in Europe. It gained such momentum, that the Bundestag passed a resolution in favour of it and in April 1994 a design competition was announced. The only rule to be obeyed was that the total cost should not exceed €7.5 Million! The recommended plans were eventually vetoed by then chancellor Helmut Kohl. The final design by architect Peter Eisenman and artist Richard Serra emerged from a second competition in 1997 and with the addition of an information museum underneath was approved by the Bundestag in 1999. Building began on April 1, 2003 and was finished on December 15, 2004. It was inaugurated on May 10, 2005, sixty years after the end of World War II, and opened to the public two days later. It is located one block south of the Brandenburg Gate. The cost of construction was approximately €25 million. The monument has had its fair share of controversy during the inception and construction period. Lea Rosh, who is the driving force behind it, has created controversy through her unrelenting and overpowering style of conduct. Her single-minded approach to this and other projects leaves her opponents speechless and disheartened. 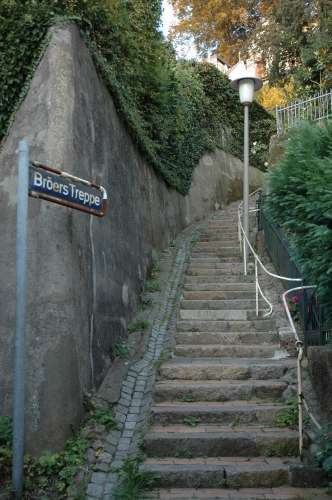 Despite her achievements she was voted the ‘most embarrassing Berliner of the year’ in 2003 by the Berlin city magazine Tip. Shortly after construction had begun a Swiss newspaper published an article highlighting that the company Degussa, who was providing the anti-graffiti substance, had been involved in the production of Zyklon B gas during the Third Reich. Immediately voices called for their immediate removal. Primarily it was representatives of the Jewish community who had called for an end to Degussa’s involvement, while the politicians on the board, including Wolfgang Thierse, did not want to stop construction and incur further expense. They also said it would be impossible to exclude all German companies involved in the Nazi crimes, because — as Thierse put it — “the past intrudes into our society”. Despite this heavy criticism and rejection by the Central Council of Jews in Germany work continued as planned. 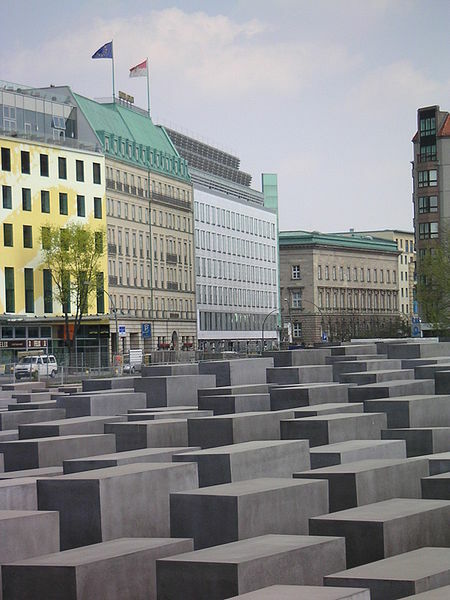 Even the design intention by Peter Eisenman has seen debate: According to Eisenman’s project text, the stelae are designed to produce an uneasy, confusing atmosphere, and the whole sculpture aims to represent a supposedly ordered system that has lost touch with human reason. A 2005 copy of the Foundation for the Memorial’s official English tourist pamphlet, however, states that the design represents a radical approach to the traditional concept of a memorial, partly because Eisenman did not use any symbolism. The information center underneath the site will have all the names of the victims and current exhibitions highlighting various topics. Check with your guide on the Cosmopolitan North – Hamburg and Berlin tour what’s on at the time of your visit and learn more about this particular part of German history and how Germany deals with its past on a self-guided audio tour. 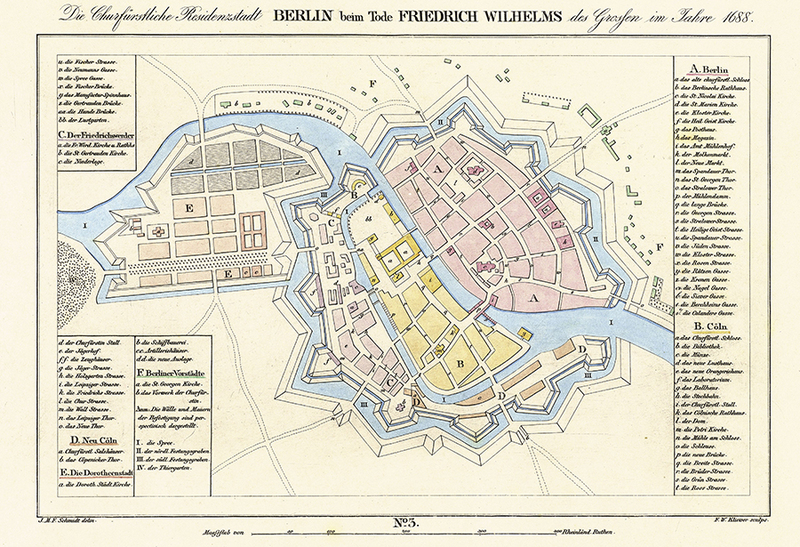 As Hamburg grew into an international port its landscape evolved around the waterways. A guided tour on the ferry through the harbour on our Cosmopolitan North – Hamburg and Berlin tour will show you the city- and landscape from a ground-level perspective. As you will be moving through the western part of the city you’ll go past the Museumshafen, a harbour and mooring place dedicated to historical and traditional boats. 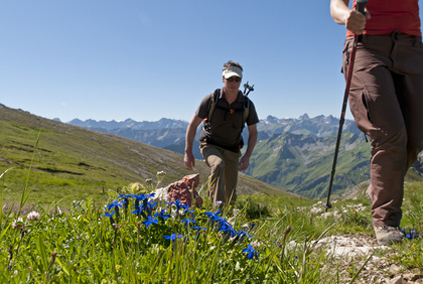 Further on is the Altes Land, the biggest contiguous fruit-growing area in Central Europe! During summer time the restaurants in the region offer the most spectacular range of fruit based desserts. 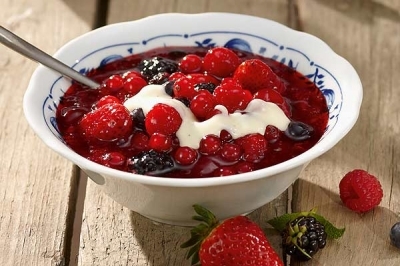 A traditional one is ‘Rote Grütze’, a jelly resplendent with at least three different red fruits, traditionally strawberries, raspberries and cherries, served with a thick custard or cream. As with all dishes, each region and each cook has their own favourite variation. 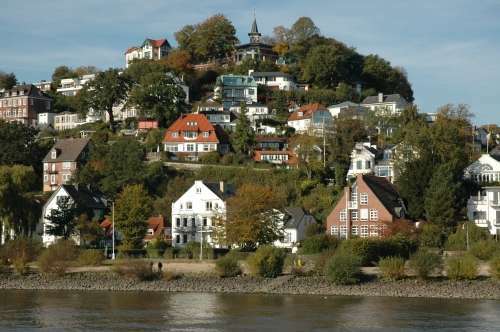 And further west on your boat trip you get to Blankenese, an exclusive suburb with very steep hillside housing, where you will get to enjoy the Treppenviertel, ‘neighbourhood of stairs’, and get another top view of the harbour, river Elbe and surrounding countryside. The lakes Binnen- and Aussenalster in the north of the city are popular recreational areas and together with the extensive canal network in the larger Hamburg area offer a variety of water based activities. Your afternoon activity on your Sidetracks Germany tour will be here, rowing leisurely along the shore of the lake and enjoying the contrast of water and city life.